← The last, lost, and least .. no more. From the lap of luxury to the joy of service … one doctor’s journey. There’s nothing like getting perilously close to close to death to put your life in stark perspective. And that’s exactly what happened to Dr. Frank and Susan Artress. On his 50th birthday trek up Mt. 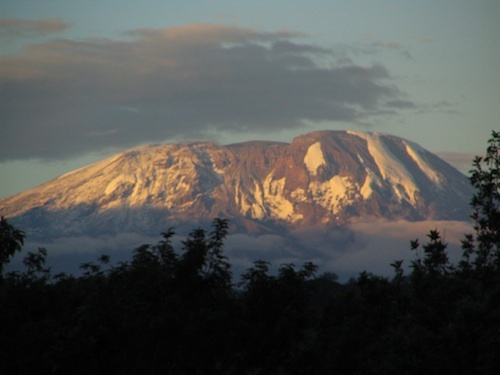 Kilimanjaro, this wealthy, successful cardiac anesthesiologist fell gravely ill with pulmonary edema. As he watched his fingernails turn blue and clutched his wife’s hand, Artress had a moment of aching clarity: he realized he had wasted his life collecting expensive homes and art but never done much to help others. The next day, the couple reached the summit, with their trusty guides half-carrying the nearly unconscious doctor, and on the descent, Artress collapsed into unconsciousness. When he came to in a hospital, tended by a U.S.-trained doctor, he was told his heart was fine. But he and Susan knew it had been changed forever. 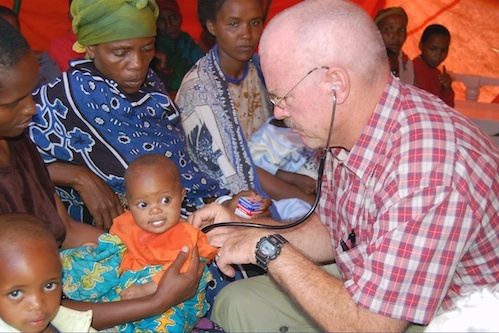 Dr. Frank and Susan returned to Modesto, California, sold everything they owned, and moved back to Tanzania to build a hospital to serve the people who had helped save Artress’s life. 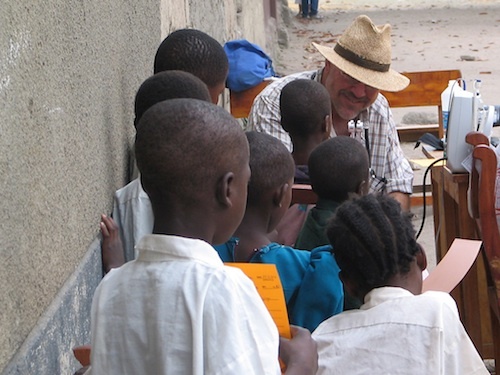 For two years, Dr. Frank and Susan worked to learn the gamut of tropical diseases and treat the malaria, respiratory diseases, infections, and STDs that afflict the population of Tanzania. 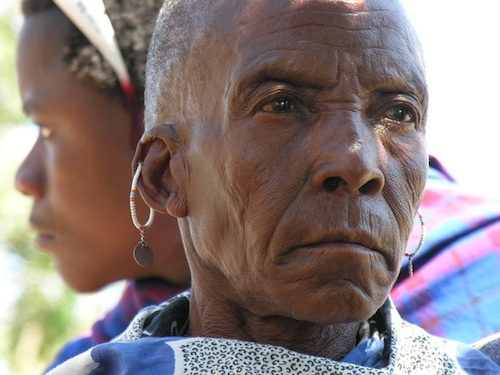 With a life expectancy of 43, Tanzania has an 80% unemployment rate, 50% of its children are malnourished, 25% of adults are HIV+ and the ratio of patients to doctors is 60,000 to 1. “You can save someone here with $1.50 worth of antibiotics, but the heartbreak of Africa is that people don’t have access to that most basic care, so they are dying of completely preventable diseases,” Artess says. But rather than let the numbers daunt them, Dr. Frank and Susan set out to make a difference to the people they could reach and help. Lining up to see the doctor. In 2004, supported by other doctors, friends and family, the Artresses founded the Foundation for African Medicine and Education. In 2005, they bought a 20-foot Mitsubishi bus and started traveling to the remote towns of northern Tanzania where few adults had seen a doctor, much less a white one. In October 2007, the couple broke ground for a clinic on 18 acres of land in Karatu, a beautiful small town near the Ngorongoro Crater. And that is where FAME has based its operations, treats thousands of sick people, and is building a desperately needed new 12-bed hospital. 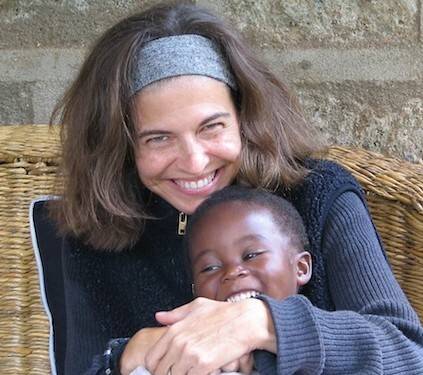 Of FAME’s 11-person staff, all except for Dr. Frank and Susan are Tanzanian, and a critical part of FAME’s focus is to encourage and financially support Tanzanian students in the medical field. American doctors and nurses come to volunteer for a few weeks (or even months), which offers great training to the medical students. 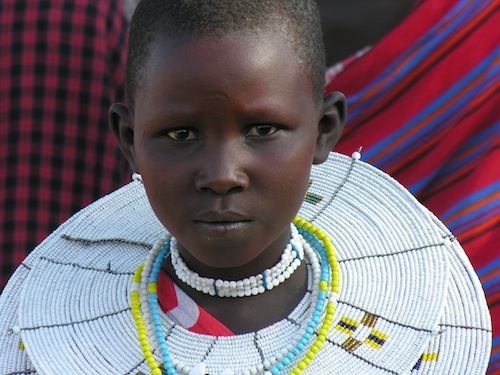 And 10 days a month, the Artresses continue to travel to remote areas (and the Rift Valley orphanage) to dispense essential care to the most poor and isolated. Not bad for a Second Act! 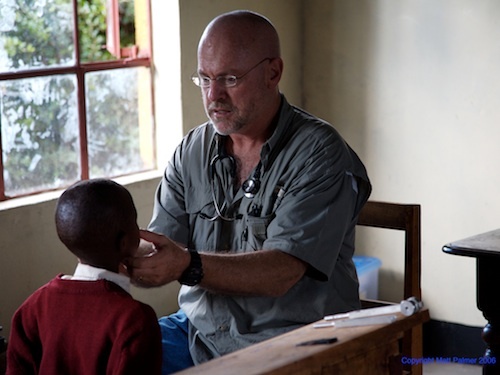 To join me in supporting FAME’s inspiring work in building the new hospital, educating medical students, and bringing life-saving care to the beautiful people of Tanzania, click here. Thank you Betty! Dr. Frank and Susan are wonderful people and words can not explain how amazing the work they are doing. I appreciate that you highlighted FAME in your blog. I’ve been to Africa and I know how hard life “on the grid” can be. I salute you Dr. Frank and Susan Artress. You could be just spending your days going on more vacations, or playing golf, which I’m sure most of your contemporaries are doing. Thank you.